Starting our professional relationship back in 2010, Media Sussex were able to develop several versions of the Passion Trust’s websites over the following years. Helping them develop branding, web presence, video editing and much much more. Our latest work with the Passion Trust involved a complete re-design of their two main sites: passiontrust.org and passion-plays.co.uk. The latest sites, designed by MEDIA SUSSEX are mirror images of each other. 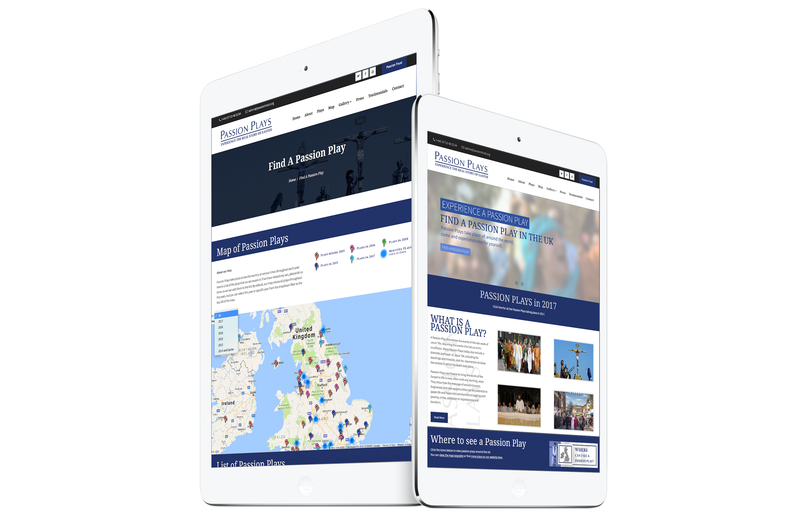 One site displaying information about the Passion Trust and one giving information about the various Passion Plays taking place across the UK.